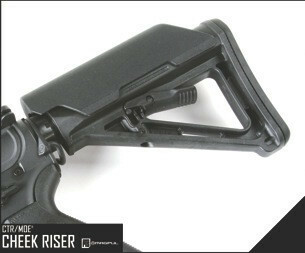 The cheek riser for the PTS MOE and PTS CTR stocks. Raises cheek weld 1/4(size 1), 1/2(size 2) and 3/4(size 3) inch in height. Click the button below to add the Magpul PTS Cheek Riser to your wish list.